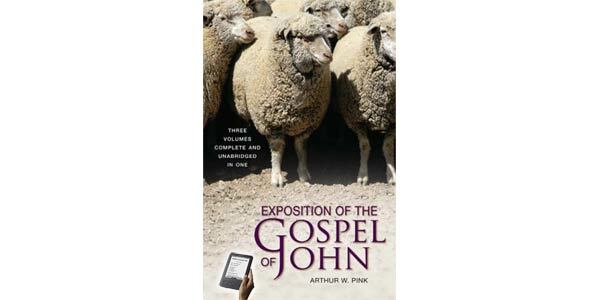 The viewpoint of this fourth Gospel is more elevated than that of the others; its contents bring into view spiritual relationships rather than human ties; and, higher glories are revealed as touching the peerless Person of the Savior. 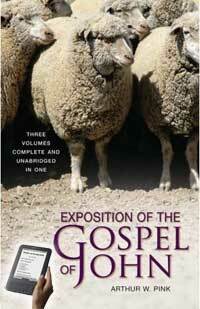 In each of the first three Gospels Christ is viewed in human relationships, but not so in John. The purpose of this fourth Gospel is to show that the One who was born in a manger and afterward died on the Cross had higher glories than those of King, that He who humbled Himself to take the Servant place was, previously, "equal with God," that the One who became the Son of Man was none other than, and ever remains, the Only Begotten of the Father. Each book of the Bible has a prominent and dominant theme which is peculiar to itself. Just as each member in the human body has its own particular function, so every book in the Bible has its own special purpose and mission. The theme of John’s Gospel is the Deity of the Savior. Here, as nowhere else in Scripture so fully, the Godhood of Christ is presented to our view. That which is outstanding in this fourth Gospel is the Divine Sonship of the Lord Jesus. In this Book we are shown that the One who was heralded by the angels to the Bethlehem shepherds, who walked this earth for thirty-three years, who was crucified at Calvary who rose in triumph from the grave, and who forty days later departed from these scenes, was none other than the Lord of Glory. The evidence for this is overwhelming, the proofs almost without number, and the effect of contemplating them must be to bow our hearts in worship before "the great God and our Savior Jesus Christ" (Titus 2:13).